They say you can’t buy happiness, and while that’s mostly true, the least you can do with money is get nice things for the people you care about. Don’t ever forget that the special people in your life will always care more about your company than any expensive gift you offer them. 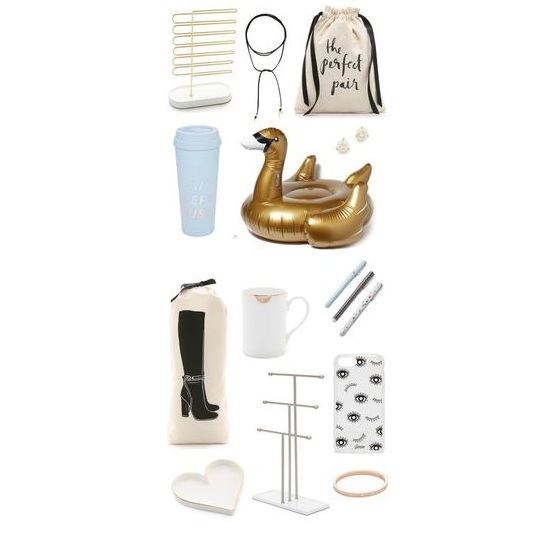 So, if you’re on a budget — and chances are you are, just like many of us, perhaps you should check out the following presents that are all priced under fifty dollars. Once again, we’d like to emphasize that creating unforgettable memories is far more important than getting pricey things. 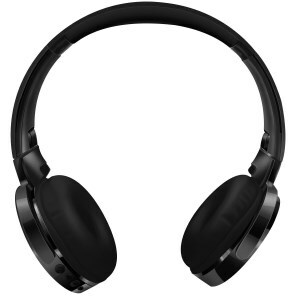 Many quality noise-canceling headphones tend to cost a pretty penny, and that’s because they’re made with quality materials, are manufactured by reputable brands, or they just take advantage of the naivete of prospective buyers. All of this does not apply in the case of this Kimitech product. The over-the-ear design boasted by this choice is comfortable and provides an immersive experience that will get you hooked. The headphones are compatible with computers, laptops, smartphones, and MP3 players, so they come with a classic jack. Plus, they can be used with a cell phone as they are fitted with a built-in microphone. If the friend or family member you’re trying to purchase a present for is a coffee aficionado, perhaps you should give this item a try. 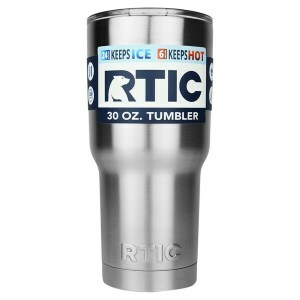 It’s a great tumbler that can be used for hot and cold beverages alike as it comes with an excellent insulation that enables the temperature of the liquid to be kept for a longer time compared to what other products can do. Plus, the RTIC choice is made of stainless steel, which means that it is likely to last a good deal of time provided that you do not clean it using a dishwasher. For some reason, doing so is against the brand’s recommendations. 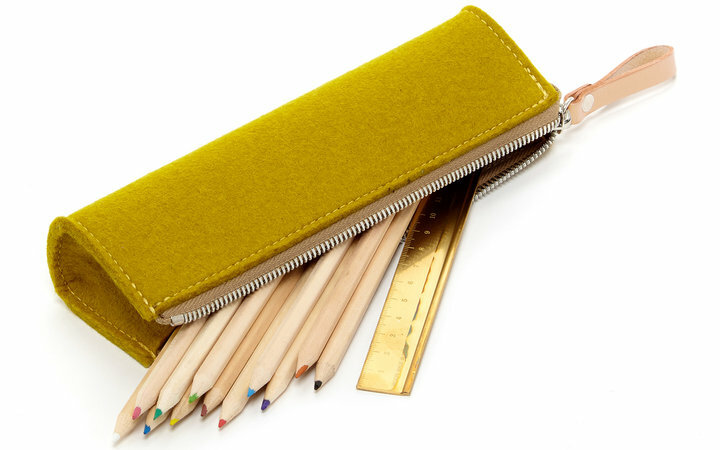 How about a nice travel kit that can accompany your friend or special someone whenever he or she needs it the most? 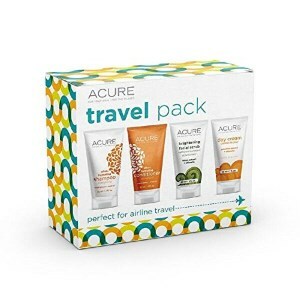 The neat thing about this choice is that it comes with as many as four products ranging from a face scrub to shampoo, and the weight of each one is just 1 oz, which is why they are perfect for air travel or just a quick trip of any kind. Plus, the cosmetics that can be found in the set are both vegan and cruelty-free, which means that they were not tested on animals. If you care about the skin health of the recipient of the gift, give this one a shot as it is paraben and phthalate-free. Nothing beats a Netflix subscription, especially if the buddy you’re trying to impress is a great TV show lover. To date, Netflix has become one of the favorite providers of entertainment for Americans and people all over the world. 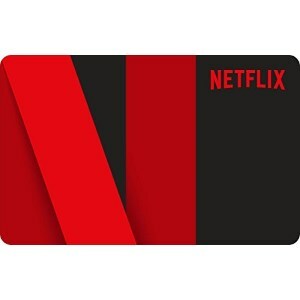 If you want to avoid giving other companies your credit card info, you can get this gift card, and then redeem it using their site. The process is simple, really, and takes just a couple of minutes. Plus, within several hundred seconds, your friend will get access to hundreds of TV shows and movies. Give it a go if you’re a subscriber yourself or try the trial month if you aren’t convinced. For some, buying a new keyboard for their friends might not seem particularly imaginative. For others, though, it might make the difference as it is by far the perfect gift for someone who works in IT, marketing, or is a writer. 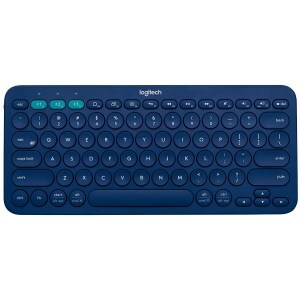 This Logitech model is a Bluetooth device, which means that it can even be used with smartphones and tablets, thus enabling the user to type emails and longer messages with as little effort as possible. Plus, the neat thing about it is that it is compatible with virtually any operating system ever to have been invented by mankind. Most people can be split up into two categories. Some like to cook whereas others would always choose eating out if their paychecks allowed them to. 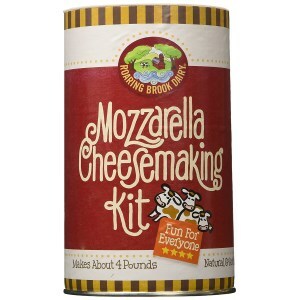 For those interested in trying out new things in the kitchen, we recommend this mozzarella kit. With this starter kit, one can make as many as four pounds of mozzarella. The straightforward instructions are great and have been praised time and again by those who have decided to do several cooking experiments. There’s also a chevre cheesemaking kit available from the same company if your buddy isn’t into Italian varieties. When it comes to reading devices, Amazon is one of the leading brands out there. The Fire 7 tablet comes equipped with any feature you might ever need from a device in its line. It’s thin, light, and easy to utilize, and comes with a longer battery life, as well as a display you won’t be able to take your eyes off of. 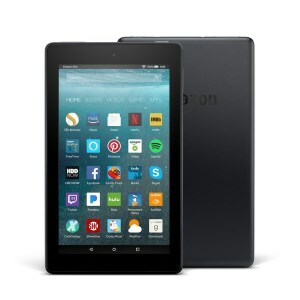 Despite being outfitted with a great processor, this tablet can be used for as many as eight hours at a time. Keep in mind that this is not an Android tablet, so it comes with its own operating system. Finally, if the person you are trying to impress owns a gas range without an electric starter, you can always go for a nice set of matches. These, for example, boast a truly unique design as every matchbox resembles the original looks of several banned books. Your friend can light up his or her cigar with a matchbox boasting the cover of Fahrenheit 451. How fitting, after all, given that matches are made for fires just like books were in this particular novel. This USA-made gift is sure likely to impress your buddy and many of those who’ve bought it keep it on the kitchen table. Finding the perfect gift for your beloved one could be a real challenge per se, without adding the extra pressure of a limited budget. Unfortunately, as much as you would want to try, sometimes your monthly spendings don’t allow you to stretch the budget a little more and buy that cool gift for the upcoming birthday of your significant other, close friend or family member. On the other hand, the vast world of the Internet offers us an endless supply of gift ideas and plenty of online shopping websites to choose from. But since browsing through numerous websites can be boring or unproductive, we considered that the following comprehensive buying guide could help you solve the problem faster and easier. Obviously, shopping for gifts is not your favorite leisure activity so why make the whole process even more painful by adding a limited budget and a limit amount of time to decide upon? We hope that our following guide will provide you with enough intel on the whole shopping for gifts process and help you reach the best decision depending on a series of factors. After all, there are plenty of cool gift ideas under 50 dollars! How close are you with the person whose birthday you want to celebrate? If we are talking about your significant half, there is an endless supply of cool gifts you could choose from, based on their desires, interests, hobbies or requirements. Men are easier to please, as you can easily find a fishing tool, a baseball bat, a sports equipment or a bag of tools he needs or wants. If all of the above fails, you can always opt for a new sweater, shirt, suit, pair of shoes, a nice tie, a luxurious perfume or even a set of cufflinks. You can also opt for a personalized gift such as a set of Polaroid pictures beautifully packed and depicting your favorite moments together, or a wooden wine box with an engraved message. As a general rule, family members are some of the toughest to please as you never know if you live up to their expectations. And when we are talking about a big family with loads of siblings, the budget keeps getting smaller and smaller. Luckily, you do tend to know your family members better thus you can opt for meaningful or useful gifts. Satisfying passions or hobbies is better than opting for pieces of clothing or jewelry sets. 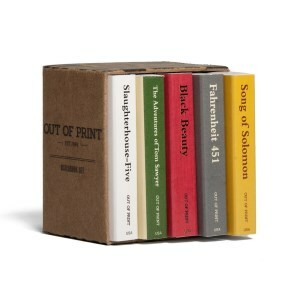 We suggest buying a meaningful book, a kitchen tool for the home’s chef or even some decoration elements for the house. Obviously, in order for a present to be considered cool, it must be age appropriate. If you have a child’s birthday to attend, things are easier as there are plenty of cool and educational toys under 50 dollars which will certainly make a good impression. A pair of cool headphones for preteens or a simple plush animal could do the trick just fine. If on the contrary, you are picking up a gift for an adult, we do suggest you buy a gift which is more “mature” and resembles their personality. You can purchase a set of eye-catching bubbly champagne bottles for special occasions or a set of beautiful crystal glasses. If you are invited to a new house party and are wondering what to get, we could suggest a home accessory. It can really be anything – from a nice scented candle to a copper clock or a small rug. Just make sure your decoration matches the style of the house. Another great example of a gift that can be bought in these circumstances is a cool olive tree in a terracotta pot. It costs little under 50 dollars but it will make for a unique attention and will still save you some money to buy a cool gift card as well. Last but not least, in order to offer an inspired and well-appreciated gift, we suggest you take a closer look at the receiver’s personality. The number one rule of a gift is that you don’t necessarily have to like it, but the person who is receiving it. Consider the receiver’s personality, desires, skills or hobbies. If he/she is an avid traveler, we suggest you buy them a scratch map, one of the coolest and popular gifts these months. Basically, the person receives the map of a continent or the entire world, and they can scratch off the places they’ve been to, displaying a map full of bright and beautiful colors. If she’s into fashion, then you certainly know what to buy her – everything can be a cool gift idea if you put it in the right context. A tote bag for weekend travels, an everlasting black jacket or a colorful blouse or even a pair of cashmere or silk gloves – all these items could transform into stylish and useful gifts that will impress every fashionista. If they are into cooking, there is also an endless supply of cool gifts under 50 that will certainly transform the kitchen area into a magical place. A recipe box could prove an elegant and useful gift for those who always wonder what to cook for dinner. There are also numerous kitchen small appliances or useful tools which can be bought for a reasonable amount of money. A cool toaster or a sandwich maker, a cotton candy machine or a trendy espresso machine could also prove useful options for gifts. After all, each gift will be appreciated, no matter its value, if it’s given with a pure heart and welcoming wishes.